Nevena Ilic is a Researcher in the Health & Bio-medical team and is currently working on the Health Survey for England. 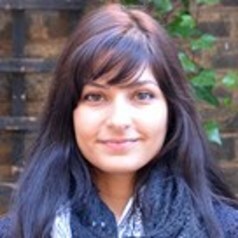 Prior to joining NatCen, Nevena worked as a freelance researcher, undertaking data analyses for charities and NGOs in the UK and Sudan. She has a First Class Degree in Sociology & Human Geography, an LLM with distinction in Human Rights Law and a Certificate in Social Research Methods from Birkbeck College, University of London. Nevena is experienced in both qualitative and quantitative research and has a particular interest in social and economic equality and its impact on the health of the nation.